Sri Lanka would soon be ungovernable. It is, already. Thanks CT, I hat off your braveries to reveal all these while many seem to have forgotten the gravity of state crimes deliberately exercised by GR et al under his brother s most abusive administration which ended by dawn of 2015. People in this country through highly abusive media institutions have been brainwashed for some reasons. It has been like a wave to this date. PM has raised the issue not once several dozens of times, but media run by mafia men including SIRARA and other front runner senders such as DERANA and HIru which came into being through drug related million dollar business. No further proofs would have been necessary the brother of Hiru sender is convicted murder and now is in Walikada prison for the high crimes he himself committed in the murder of Hirunika s father. Hirunikas father was seen as close confidante of Mahinda Jarapakshe, similar to the slain sundy leader -by name Lasantha Wikramthunga. Mahinda had pvt phone calls that revealed that the bond between Lasantha and Mahinda had been close to be called as friends. However, Mahinda is a person whose criminal profile is not yet clear to even their family ones. Going back to late 70ties, where we only heard, Mahinda and his siblings were called as ” beliaththa rascals – beliatha criminals”. But having being in the politics for such a long time, the truths of his profile had been buried in the carpet…. but I truly believe, even if rehab can help some, but there are also once criminals, they stay as higher criminals until death. The BBS thug went and sat in front of the President at a hotel in Japan. Was this an act of Treachery to disgrace the President of Srilanka or an invitation sent by the President and his delegation?? THAT A WANTED CRIMINAL WAS ALLOWED TO SIT IN THE FRONT ROW. Spineless, Brainless, Clueless President of Srilanka. He has firstly Allowed our Srilankan Nation to be DISGRACED INCLUDING THE PRESIDENTIAL OFFICE. God what sort of a country is this?? Enough getting disgraced in your own country. Now a laughing stock in the world arena. I wanted to Puke!!!!!! !for the state of the nation and the top Politicians!!! our leaders have no balls to react so. If European or other leaders met with the kind of problems, they would have done that and entire world would respect them. That was tthe occassion that Mr Sirisena deliberately missed. He is liek a snake guard .. and canttake bold decisions by his own. Lack of education, lack of exprience. Even CBK would have done her best teaching the bugger monk a lession. Why on earth lanken police stay as if they are just LIFELESS not taking this blood thirsty man AND set in a therapy. He should be free from any human association for some time. Or he shoudl be derobed and get him a GORILLA wife so that he can enjoy his lay life. THat can help him much better than letting the bugger further stay as a MONK. What kind of patronage can DAYAN J ALZHEIMER expect? In our future GARRISON STATE, in that BRAVE NEW WORLD, run by ALL-POWERFUL, “BENEVOLENT”, IRON-FISTED, EXTRA-JUDICIAL EXECUTIONER & DECEPTIVE BRUTAL DICTATOR WANNABE aka Sri Lankan DUTERTE. Long live Gota Raja! Long live the embarrassing stupidity of enslaved Sri Lankans aka BLOODY IDIOTS! Sinhalese, Tamils, Muslims, Burghers, Malays etc alike. I am going to renounce my SL citizenship soon. SO EMBARRASSING! Gota’s buddy and Gota’s brother -all in the family. Those sons have been taught to criminalize by this father. They just spread blatant lies as any welikada or other prisoners would do. I wonder how some senders bring stories, even that murder alleged Yoshita to have completed his doctorate within few months. Can you imagine guys ? We ones who have an idea about theses are well aware of the fact that completion of such theses take years. But lanken press stay as mum .. not questioning it further can you imagine ? Why lanken press behave so ? RE: Gota Under Oath You Lied, You Lied! Lying: This is a Para-Sinhala Characteristic first introduced by the Para-Monk Mahanama in Mahawamsa, which all Para-Sinhala have been brainwashed, and that has seeped into the society. “Buddhist” Characteristic in contrast to Buddhism, as preached by the enlightened Buddha. Just check out ti see what Buddha said about lying. he Buddha took a hard line on truth. Tell us what they have been able to reveal sofar is nothing even if the GOVT came into be ing through the support of various forces coming from lanken society. Ok ok ok, leave Wimal Weerawansa alone. He was arrested, denied bail and remanded for 3 months to suppress his voice. He didn’t make any appeal to prevent him from arrest. He has faced and is facing all his court cases against him including holding a protest march in Colombo on a Saturday against Al-Hussein. He didn’t run away like a coward. He doesn’t belong in your list. Bunjappu – 5. “Failed to lock up Namal Rajapakse for all the high crimes he is proved to have carried out” and not forgetting the several “flying angels” he abused during his father’s reign of terror! I as lanken living in abroad, have this following quesiton to you CT and other media men in the country. 3. Why have any of those high big mouth like SIRIASA failed to do so ? 4. If Gota or other point the finger on SF, why cant they call clear this to the nation through an OPEN forum yet. So why cant they arrest Gotabaya for this even today ? What is the legality not to do so ? Why SIRASA seems to be like that heroic as if they have done their role properly. Now like heroes, they just add their thoughts. Even today, they cant BRING Gotabaya for an OPEN discussion why ? Cold blooded idiot, this man would be a threat to lanken peace. This man has no whatsoever regrets even if he would go killing his own ones. This man is a curse to lanken sinhala community. Allegations are just because you rajapakshes are blood thirsty ciminals. I am ashmed of my community in this country. Thanks god we live no longer in SL. Why lanken press stay as if they have been fed with KIRIMATI today, knowing that the number one source for getting the more information – FORMER DEFENCE SECRETARY is still in the country? So called sober SIRASA has no efforts sofar to INVIEW GOtabaya why ? Dherana has not aired a single WORD on the issue yet why ? Ridiculously, that biased Phd which was awarded to Bandula Gunawaradhan athe open PARIPPU HAELIYA of the nation; was celebrated as no other yesterday – WAS THE KEY headlines of DERANA. How come these MEDIA prostitutes in the country STAY as if they have no balls ? Don’t you know to whom Derana belongs? It belongs partly to the daughter of Sarath Ammunugama. 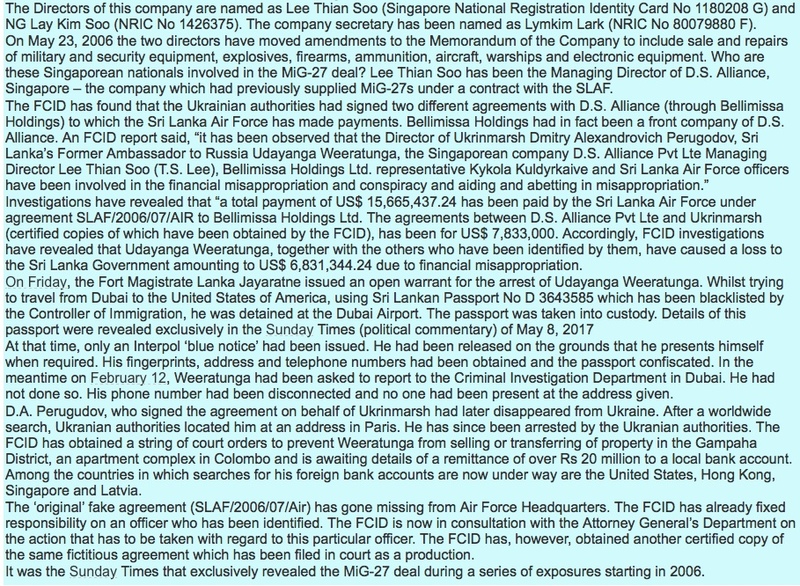 Sarath Ammunugama was one of UFPAs chief kingpins. They want MR/ GOTA back, hence all the propaganda. propaganda tactics on the basis of racial sentiment. After all the other owner is Dilith Jayaweera who is an advertising guru. Propaganda and false information peddling was Prabakarans greatest strength, the same rope our Mara/ Gota duo have been towing. Remember how VP inspired hundreds of young cadres to blow themselves up after having their last meal with VP. Yet when it came to the last days of the war, he was hiding behind innocent helpless civilians, didn’t swallow the Cyanide pill like he used to preach. People still stupidly believe VP was some super human entity, all he was, was a ruthless, selfish, pretending, power hungry, coward who killed people at the drop of a hat, ah by the way he was one of the best drug traffickers in the world at one time. Yet he had people believe that he was their savior!!!! I don’t mean to disrespect a dead person, but i am trying to draw parallels for you to the pattern used by MR/ GOTA are no different. They are shameless liars, who have killed, stolen, and kidnapped, and most probably money laundered. People have to be stupid to think this man will be truthful, even under oath. They think and act as if they are above the laws of the land. Sri lankan politicians and higher officils have bank accounts all over the world in Islands. Bank are registered i those countries yet money is in the main Island. for example, virgin Islands money is in Britian. Islands around India have accounts but money is in India. Philipine also got money that awy I heard because Phillipine has 7000 islands. Veritas a knows a lot. I think some in CT might know. If you want to find money in virgin Ialnds, you nee to check in Britian. but, they may say no We don’t have. Tahalatha Gunasekara and her foreign husband had Accounts and in where Atakama Desert is. some from Kurunegal also has similar accounts. HE says, even if you look for one year you won’t be able to find. Ranil di dnot have brains in his last life. so, he does not have brains in this life too. He drinks heavily and sleep he doe snot get up to spit anything. Hey Jim, FYI Phil does not have that much illegal money stashed away there as far as I am aware of it, certainly not for your reason stated that it has 7000 islands. It has only a dozen or so large Islands worth mentioning, all the remainder are tiny and the vast majority are just rocks or sandbanks sticking out of the water, uninahibted except for sea gulls perhaps. No illegal banks except rock and sand-Banks, being volcanic formations. Phil banking system is highly regulated and very strict like that in the UK. These things are difficult to find because the owners inform the spy, that they are coming be careful. In some other countries, the country says ” We have, but, right now we do n’t have money” Or We don’t say we do not have money butnot right now. It is because of the finacial markets all over the world. Otherwise it is spread frm countries saying “good Morning” to : good Evening”. So there is a dealy also because why struggle to find nothing, and also may get caught eveybody. Srisena & Ranil will not allow any serious legal action taken against Gota …that;s the bottom line in our thrice blessed land of Buddha ! So go and make him the President so that he will put every one and every thing in the ‘right’ place. BBS & the always silent Buddhist prelates will appreciate his coming back to power. It’s easy to destroy an already destroyed nation and people ! Can you also tell us, why ? what goes on here ? Why UNPers cant come forward in order to get those high criminals by their horns ..
Gota may have stole CT Editor’s lunch. 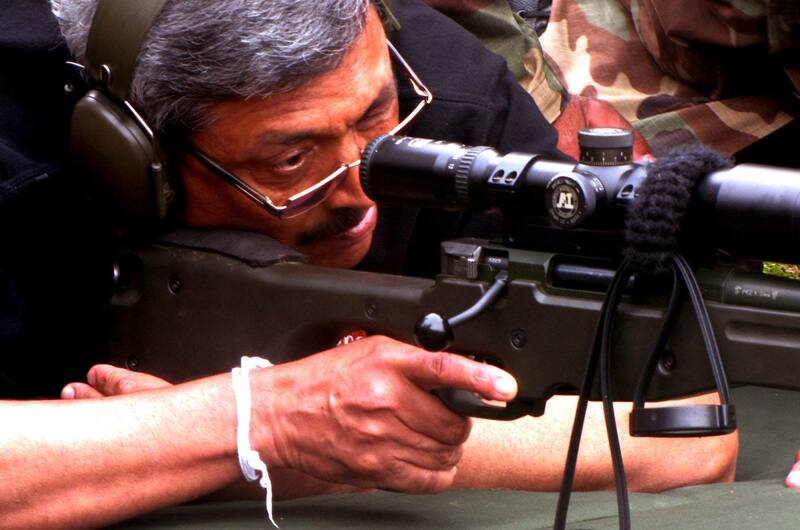 This site has some beef with Gota. Dr Gota (DSc) actually had Colombo Telegraph (CT) for his breakfast, lunch and dinner until January 2015. CT was banned in Sri Lanka for a considerable time. Trying to dig up that old chestnut, the MIG deal again? Ever since lasantha Wickramatunga tried to create a name for himself through this lie, nobodies like his concubine Sonali, Frederica Jansz and Uvindua Kurukulasuriya have tried to give it wings again. CT attempts will fail similarly. Gota’s rise can’t be stopped. The nation needs him again, and he will oblige. Real classy, bringing up someone who was brutally killed, and justifying that assassination, while supporting the scum who are suspected of being behind it. Only a low life will attack a man who did his job, and insult the women who spoke out. Lasantha cannot defend himself, therefore you are a coward. Obviously you have not been brought up with decency. I was informed reliably that the author of this highly defamatory piece is a Tamil person posing as a Sinhalese! Even if the person was Tamil, what relevance has it got to do with the subject matter he or she raises as point of national importance. If there is truth in it, regardless of who raises it, it must be heard by all. Truth is capable of standing up for its defence under scrutiny. This is mind-boggling not only as to the extent of this robbery from the national vault but the quality of the investigative journalism that has revealed all of this. Everyone from Iqbal Athas, through the late Lasantha Wickremetunga to Frederica Jansz who was forced into fleeing Sri Lanka deserves credit for the fearless examination of the facts. This could well be the litmus test of a government accused of collaborating with its predecessor and the worst elements of that rapacious lot. Ranil Wickremesinghe and Maithripala Sirisena: What do you have to say to all this? Writing on behalf of Ranil and Maithri, they are unable to do anything because they have not corrected the much worse robbery of our national land mass by nationalising the land currently occupied by pale coloniser left overs. They have to follow the example of Robert Mugabe of Zimbabwe who took the land back. The South African colonisers have managed to prevent by bribing thieves like Zuma and Ramaphosa. So if you want action against thieves of national wealth, you pack up and go! We ant leaders like Gotabhaya who will correct international crimes against us. Don’t worry Maname Saimon, there are some smart politicians who have plans to ‘nationalise’ property and land owned by foreigners, and non-resident expatriates, and foreign investors in Sri Lanka sometime in the future. Gotabaya has no objections to such moves. I hear Dr.Vermin Silva is among these smart politicians. The reason for killing Lasantaha Wivkramatunga. Look, Sirisensa lies all the time. That is how he earned the titles of Traitor, Patholaya, Sevalaya and Perethaya from the 96% who knows. You know they are Sinhala Buddhists, rather Para-Sinhala Para-Buddhists. Lying is part of the 2,300 year-old Sinhala Buddhist Civilization in the Land of Native Veddah Aethho, illegally occupied by the Paras. To solve this problem easily appoint GR in place of MS or after the No Confidence Motion to replace RW. You Punak eating godayas ! Is it not too late to realise?? Burning in Jealousy and Racism. There’s no turning back mate !! Srilanka has reached the ultimate goal !! The. World ‘s poorest colony of China. Soon well be invaded by Chinese and Russian unskilled labourers , Prostitutes and Big time Crooks. This is good for Pathola Sorrysena. Now he will bark saying that he will never ever allow anybody to touch “Rana Viruvo” sending a clear massage to judiciary. May be Rajapaksha clan will demand from Pathola Sorrysena to dissolve F.C.I.D unit immediately to get their support for Sorrysena at next Presidential Election. Then Mahinda can be executive Prime Minister. Now it is clear that Pathola Sorrysena will sell his own mother for power. This cheap man, Hiwal Sorrysena betrayed 62 laks voted for him and betrayed Yahapalanaya. The biggest betrayal is to support JO to chase Ranil out from the Premiership and destroy UNP who sacrificed everything to support Hiwal Sorrysena. Now Gota will go to courts and file anticipated bail application before SC preventing his imminent arrest by the FCID. As usual Eva Wanasundara, Priyantha Jayawardana will issue an order immediately and the next hearing date will be in 2019. It seems you guys are hell bent on discrediting Gotabhaya and I don’t understand why? As C.A. Chandraprema correctly says there wouldn’t have been a war victory without Gotabhaya. I can understand very well the LTTE sympathisers’ dislike towards Gota as he with the help of the armed forces completely annihilated the LTTE and their Eelam dream. But why the others? Only God knows. If Gota didn’t destroy the LTTE, by now many more thousands would be dead and you and I might have been among them. Be rational and realistic. More than anything at least have a little gratitude please. Both russia and Ukraine have Accounts of Sri lankans, I heard. What a shame for the Rajapakshe family of liars. Wade Sirisena wela. Imagine the type to contest for presidency. IF RW and MS does not carryout justice, they should be impeached collectively. Apropos Gotabaya filing action against the Late Lasantha Wickrematunge and the newspaper Sunday Leader for defamation seeking an unimaginable sum in compensation. Sunday Leader naturally retained a legal team. The then Defense Secretary GR in the website of the Sri Lankan Ministry of Defence, Public Security, Law and Order published an article ‘Traitors in black coats flocked together’. The article which included photographs of the lawyers concerned called the lawyers ‘unpatriotic’ and ‘traitors of the nation’. International Bar Association’s Human Rights Institute IBAHRI) was alarmed and in July 2009, requested the then GoSL to remove the article. GR did not. By the way IBAHRI in a separate report, ‘Justice in Retreat’, expressed serious concern at the publication of similar material by the Ministry of Defence in the article ‘Who are the Human Rights Violators?’ which implies that certain named lawyers representing terrorism suspects are themselves connected with terrorist activity. GR last week said “I am a US citizen. So what? Elect me President” – implied “or else”. President Sirisena is not going to like CT being the western NGO tool of treacherous and sustained propaganda against war heroes funded by LTTE and Tamil separatist Diaspora. Hope you won’t be surprised when he bans CT in Sri lanka. Where was the whiter than white Achchige Patali Champika Ranawaka when large scale fiddling was going on in this island? Well he was single handedley fighting the war against LTTE. SO, CT who is your common candidate this time. Ranil ? there are so many war criminals, what if one of those contests for what ever vacant ? Goda (or baya gotha) talks about treason. The biggest treason is selling away the British built army headquarters to foreigners (dubbed as Asia’s best army headquarters with a superb hospital). He gave away nearly 40 acres of prime land to Chinese and Indians. The Army has nowhere to go now. Both Shangri La and the Indian Hotelier paid him millions and millions in US$. 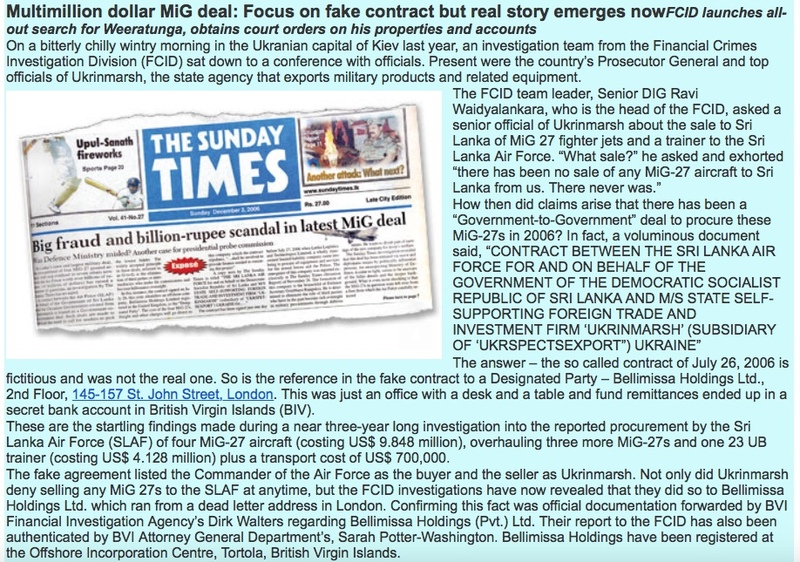 Then, millions and millions of US$ of Avant Garde money came from Sri Lankan navy armoury. Goda took that money himself. According to US State Department Goda has stolen US$3.4 billion from Sri Lanka. The money is not in his name but members of his family in foreign accounts. Arrest Goda and imprison him especially what he did to war hero Fonseka. They sold the land to Shangri La and used that money to Build a new headquarters. This Government stopped completing the building. God knows what happened to the money. After Shangri La invested in Sri Lanka investor confidence went up and many more foreign investors came to Sri Lanka. That is called Strategic Planning. Dumbos in this Government have no idea of such Strategic Planning. Why give this coward a picture with a gun, when he ran away like a mouse to the Sates in the height of war and returned like a cat when his bro MARA became the President. For me he is a sevalaya and a street thug who will run way if he is confronted alone in a fight. All his show will be only when surrounded by armed guards and pee if he is alone. This is abundantly clear in his repeated attempts to refrain from arrest by going to the courts. Look at Sarath Fonseka, the real soldier who lived like a lion even under arrest, those are men made of real metal. Sadly, most of the punac eaters also get caught to his trap, like bloody fools, not to mention Dayan the D….., Dinesh Gonawardane and the likes too. Sad state of Serendipity. So why was he twice decorated for bravery by both UNP & SLFP Presidents? Answer me that ingrate. Hmmm…….. CT is doing a good job irritating anti-Gota’s and giving Gota publicity at the same time. Have you even thought that you might just be conducting the beginning of his pre-election campaign, and as Umagiliyan above suggested that if a Tamil person had written this crap then he has contributed to the re-emergence of Gota. I have no problem with him now if he comes back to lead the country, reformed, and with an iron will as he claims. I say this loudly so that all of you could back the honest, go get things done national hero, FM SF, would be made the leader of the country, instead of kicking him into oblivion because: most of you have never even lifted a rifle and do not know anything about fighting at a battle front, and are envious of the man that showed you how to do it proper, to annihilate terrorists that decimated this land for 30-years. Imagine a person who killed innocent prisoners, media persons and lied to courts under oath becoming a President! End of Sri Lanka . Did n’t such a person become the PM of SLK with his hands in the national till, as he is known as BATALANDA Runil! Sadly it seems that people who vote just believe what they hear. They don’t bother using their brains and reason. They say actions talk louder than words, but in Sri Lanka you can do the dirtiest of things and just come out and lie, people will believe the lie wholeheartedly hook line and sinker. Do such people deserve any better? If you ask me, NO. Karma is cause and effect, if they choose the wrong person, then they have to live with their choice and all it consequences. The thing with Karma is that until one faces his karma, you and I will not be able to save anyone from the doom they are headed for. Karma has to take its effect. Oh yes, stories about Gota. This is a cheap job. Earlier it was Apollo Hospital – Gota owned a major shareholding story. Just look at the major shareholders list. CT can try… but masses will not believe it especially after experiencing the bigger “deals” from Yahapalanaya crooks. Is there a single major infrastructure project initiated by this government? It’s all talk. the $7 million is in seychelles.That desperate country which has only tourism is getting money this way and keeping it as a company account.You only can trace the name of the company but not its shareholders.I would be surprised if gota or one of the other rajapakshes did not visit it even once. what happenned t the onetime hollering of the governemnt thatthey are going to get foreign experts to trace all these monies.Went off like a damp squib.Mahinda said a few days ago that the government has been saying that they are searching for a account of his which has 18b dollars and he,mahinda is also searching for it. Wow, a ‘Prith Nool’ and a gun. A perfect combination. Whom are you trying to scare?. The public aren’t scared of you or your ‘Jarapassa’ family any more. You are a looser. Even with all that money you looted off the poor tax payers and the desperate citizens can not or will not bring you peace of mind and happiness. What you need now is a place in a centre for ‘insane’ or ‘mentally disturbed’.